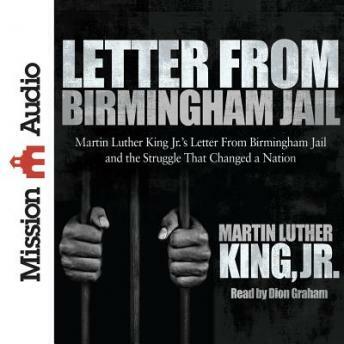 Listen to "Letter from Birmingham Jail" on your iOS and Android device. April 16th. The year is 1963. Birmingham, Alabama has had a spring of non-violent protests known as the Birmingham Campaign, seeking to draw attention to the segregation against blacks by the city government and downtown retailers. The organizers longed to create a non-violent tension so severe that the powers that be would be forced to address the rampant racism head on. Recently arrested was Martin Luther King, Jr.. It is there in that jail cell that he writes this letter; on the margins of a newspaper he pens this defense of non-violence against segregation. His accusers, though many, in this case were not the white racist leaders or retailers he protested against, but 8 black men who saw him as “other” and as too extreme. To them and to the world he defended the notion that “Injustice anywhere is a threat to justice everywhere”.